StoneSet loves to stand out and look beautiful, and we’ve done just that by creating a modern entrance to a wonderful home. 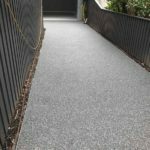 We used our Pitch black and Ash Arctic colours to create a real wow factor. And why not? 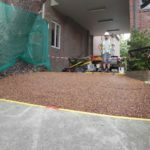 The driveway is like the welcome mat to your home, why put up with unsightly cracked concrete driveways, old stencil driveways or loose pebble crete and pebble pave options. 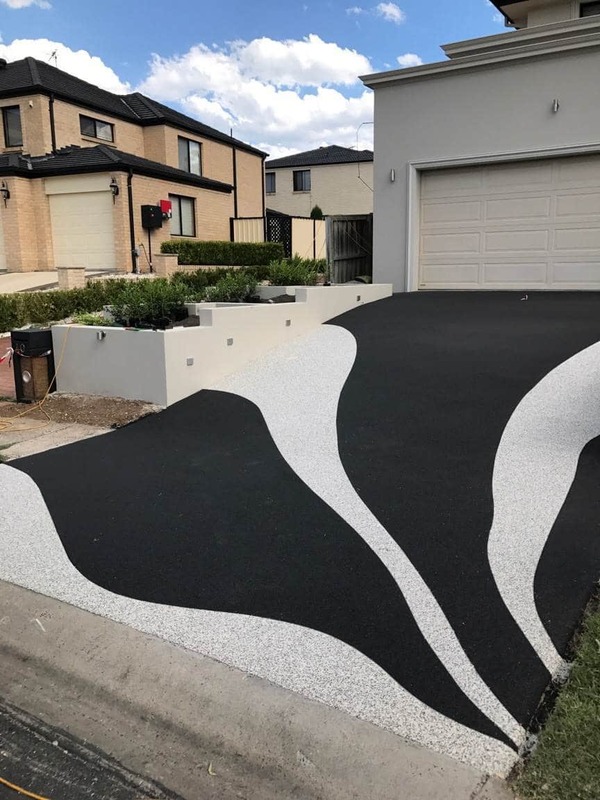 Resurfacing concrete driveways has never been so creative. 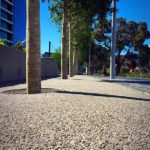 Our client was not only looking for the best way to resurface concrete but make a statement of sophistication, class and individuality. 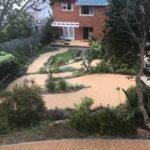 Want to see this driveway? Did they use a designer? An architect or property Stylist? 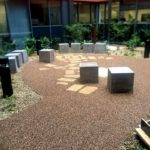 No – StoneSet! 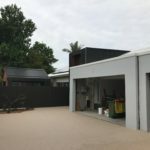 Whist this installation was particularly bold, StoneSet have completed a number of permeable driveways with more modest tones and colours, straight line borders and edging to frame the driveway and make it unique. 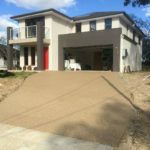 If you are looking to stand out, then we can create an amazing driveway design that fits you and your beautiful home. 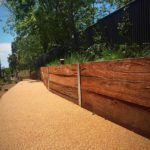 You can see a whole range of our resin bounnd stone driveways in our complete gallery here. Choose your colour patterns too – with more than 30 colours of stone available. 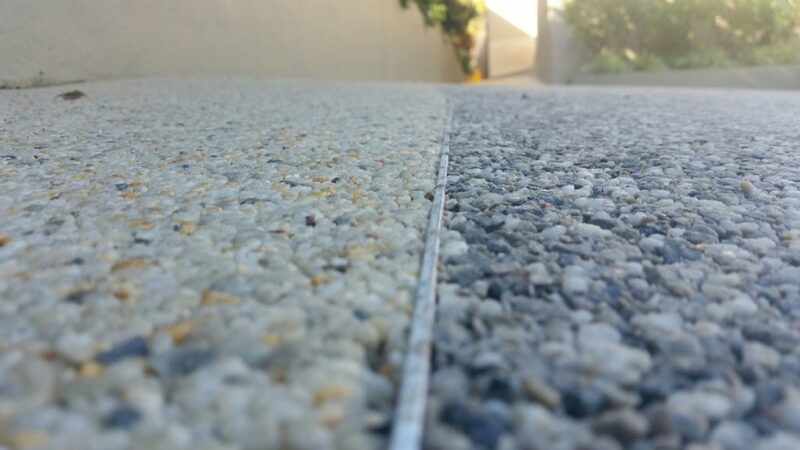 Feedback from our client was the driveway also increased the house value due as most new StoneSet driveways can do. 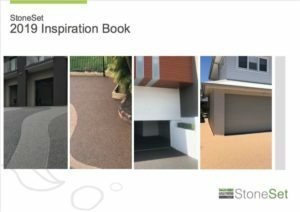 Because StoneSet can be used internally and externally, around pools, driveways, pathways, foyers and entries, it’s the perfect way to unify the look of your house from the street and for yourself looking over your patio or backyard.